The Victorian period is also regarded as the era of Romanticism. 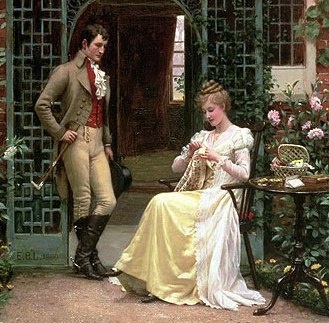 In those days, courtship was considered to be a tradition and was very popular. Queen Victoria and her family were the idols of the Victorian society, even in the case of courtship. The society had laid down some stringent rules for courting and these had to be followed. The primary method of knowing prospective suitors were Balls and dances. Society would know young Victorian ladies through a ball or dance. This was called “coming out” and was an indication that a young woman was interested in finding potential suitors. During Victorian era, a couple which dated would normally get married. After marriage, the property of the woman was automatically transferred to her husband. The Victorian girls, from the very beginning, were well trained and groomed to become the perfect wives and mothers. A woman was never permitted to go out alone and meet a gentleman. She was always accompanied by some elderly person and it was necessary for the girl to take her mother’s permission before going out. Thus, some or the other kind of supervision was ensured when the couples were meeting. A woman was never allowed to go out at night with a gentleman. There were many rules in respect of dating which were to be complied with. 1. A single woman never addressed a gentleman without an introduction. 2. No impure conversations were held in front of single women. 3. A woman could not receive a man at home if she was alone. Another family member had to be present in the room. 4. There was no physical contact between the woman and the gentleman until marriage. 5. Victorian etiquette for men courting dictated that a man could offer the girl his hand if the road was uneven. That was the only touch, which was accepted between a man and a woman, who was not engaged to him. 6. A woman was allowed some liberties, however. She could flirt with her fan, as this behavior was within the protocol of accepted behavior. 7. An unmarried girl would never date a man at the night. A man could not stay for long in a girl’s home. This was considered extremely impolite. 8. Even if the girl entered the stage of courtship, she could never walk with the gentleman. 9. Women were restrained to ride alone in the closed carriage with a man, expect for a close relative. 10. The girl should not be invited by any gentleman at his place. 11. If engaged, the gentleman could not turn back to see any other girl. 12. Even after an engagement, the couple was not allowed to have sexual behavior. 13. In the relationship, intelligence was not at all required, neither any interest in the politics. The Victorian people were very cautious about courtships. The dating would firstly begin when the couple would speak to one another. The next step was to go out for a walk and then lastly by keeping company. The upper class socialized at social events while the lowers classes socialized at events like Sunday Service or Church suppers. After the couple had developed mutual affection, the next step to strengthen their relation was marriage. The second stage of the courtship was engagement. After getting engaged, the couple could get hold hands in public, go for walks alone, and take unchaperoned rides. The engaged couple was allowed to meet behind closed doors but had to be dutifully separated by nightfall. The men while dating a woman were discreet to never break an engagement as it tarnished the woman’s reputation. In Victorian courtships, marriage was the final stage. 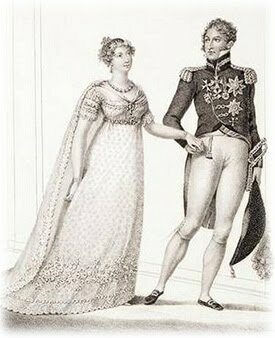 However, marriage between two persons was permitted so long the couple intending to marry belonged to the same class. After marriage, the woman played the role of a dutiful wife and mother. The dating during the Victorian period was thus very different from what it is today. As you might expect, there were many rules regarding courtship during the Victorian era. A lady who maintained the rigid strictures of Victorian society wasn’t allowed to accept lavish or expensive gifts at the hands of a gentleman not related or engaged to her. 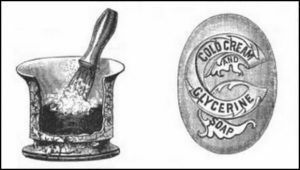 According to one etiquette expert of the 1870s – 1890s, Professor Thomas E. Hill, there were four items she could accept from a gentleman while still maintaining propriety. Books, confectionery, flowers, sheet music. Instead, etiquette demanded that a gentleman gifts flowers, fruit, or candy. These gifts were perishable and therefore left no obligation upon the lady receiving them. However, as a general rule, smoking caps, sleeping caps, and house slippers were popular gifts for gentlemen relations, as were handkerchiefs and tobacco pouches. Godey’s Lady Book, Mrs. Beeton’s Book of Household Management, Manners for Men by Mrs. C.E. Humphry, The Laws of Etiquette: or, short rules and reflections for conduct in society, by a gentleman, and Manners and Social Usages. These books explained several rules for social behavior and those in the Victorian times closely practiced them.